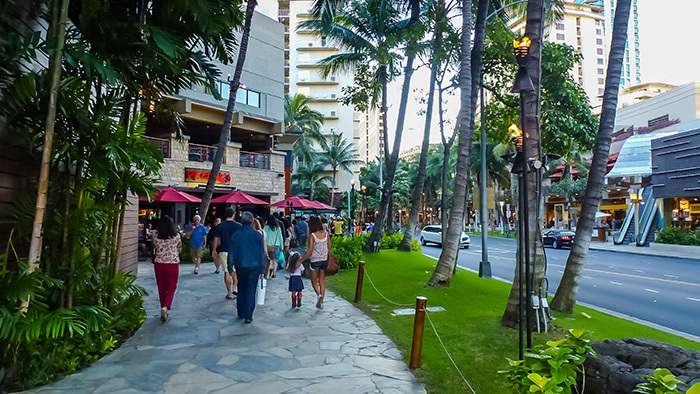 Kalakaua Avenue in Waikiki during Restaurant Week Hawaii. By dining at participating restaurants, you support upcoming generation of chefs as well as Hawaii’s economy. Dining at participating establishments gives locals and visitors alike a great opportunity to support local businesses. Not only are many places family-owned and managed, but also source their ingredients from local farms. Whether you use discounts at Blue Water Shrimp & Seafood Market or at Kai Market, the event offers many opportunities to save. At Restaurant week Hawaii, you can even enjoy some of the best store-bought foods at a discount. Venturing to new restaurants during the event will save you money while trying new places. It is a way to sample chefs’ dishes without paying high prices. For example, Alan Wong’s Honolulu designed a special 4-course menu. It features seafood somen salad and beef from the Maui Cattle Company for only $65 per guest. At Roy’s Hawaii Kai, guests can choose an entrée of spiced salmon, 12-oounce rack of lamb or seasoned seared duck. It’s all a part of a decadent 3-course meal for only $48. Similarly, Nobu Waikiki presents an extensive family-style 5-course dinner. It comes with not one, but two desserts on the menu for $65. Restaurants like Bread + Butter include items like egg custard and black truffle and seared duck breast over foie gras. It comes in a 5-course meal for only $45 per person. Ruth’s Chris Steak House creates a 4-course meal for only $49.95 per person. While an ornate 4-course meal at Mac 24/7 will only cost $39 per person. Enjoy quick pick-me-up dishes at places like Pa’ina Café. Here, $10 will get you a bowl of crusted seared ahi and a 24 ounce drink. At the iconic 50-year old Rainbow Drive-In, diners can stock up on plate lunches with a drink for only $7.50. Even casual dine-in places offer great savings. The Mermaid Bar has an entrée and dessert combo available for only $18 in support of Restaurant Week Hawaii. At Wood & Bucket, there are delicious 3-course menus with ahi poke or bacon-wrapped scallops for only $25 per person. 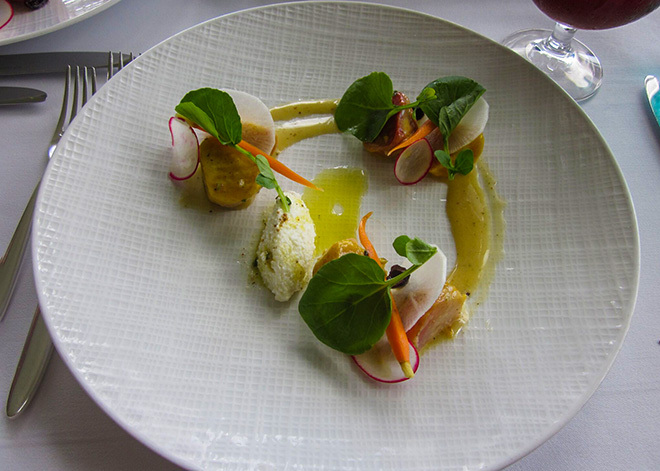 At Grondin: French–Latin Kitchen, there are 3-course menus at $22 for lunch and $30 for dinner. Restaurant Week Hawaii encourages consumers to step outside of their routine by trying new menus and new restaurants. It also inspires chefs to push themselves artistically to create unique dishes for their restaurants. One of the best things to do in Honolulu is explore the culinary wealth of this diverse city. It also allows visitors and residents to give back to the community while enjoying foods from Hawaii’ best chefs.